It’s not always easy coming up with recipe ideas, some days you have no inspiration, other days you have too much and make yourself dizzy. 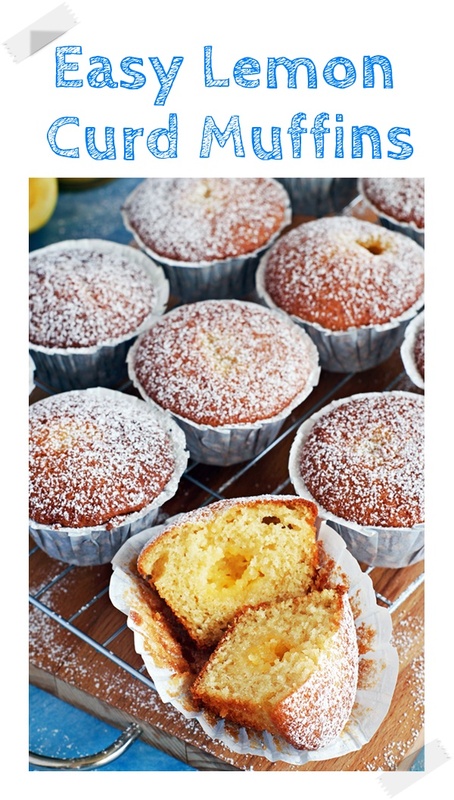 So after a “dizzy” phase I was very glad to get the inspiration to develop these Easy Lemon Curd Muffins. With Mother’s Day and Easter just around the corner I thought a baked treat using my Granny’s Quick Lemon Curd would be ideal. 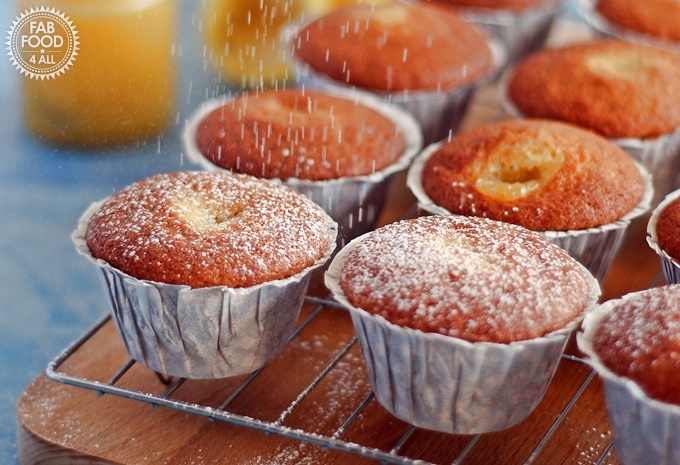 I was tempted to call these muffins The Best Lemon Curd Muffins Ever but that might not be true as I haven’t tasted every lemon curd muffin in the world so I settled with Easy Lemon Curd Muffins. Why easy you say? Well many recipes call for putting half the batter in the muffin cases then spooning on some lemon curd and finishing off with more batter. I just put all the lemon curd infused batter into the cases and then topped with extra lemon curd. It sinks down during baking and forms a lovely caramelised dimple on top! Then to make them a bit prettier I finish with a dusting of icing sugar. 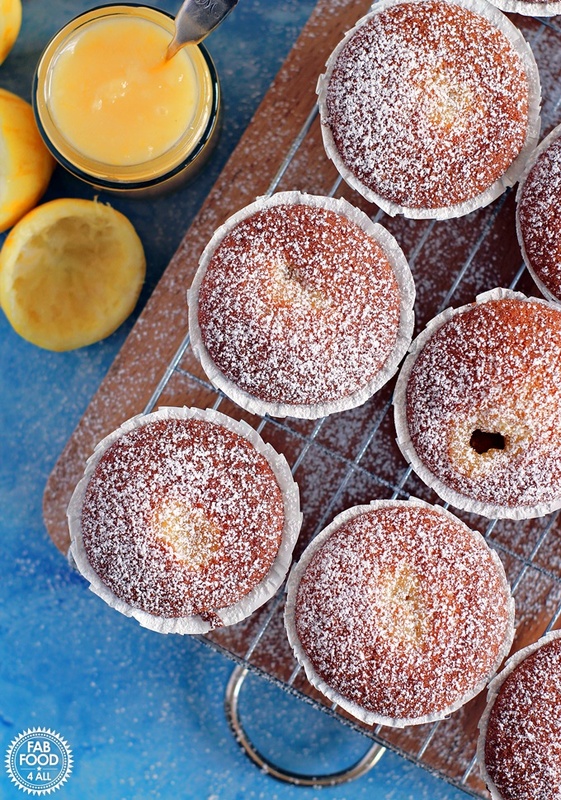 You could make these lemon curd muffins with shop bought lemon curd but I implore you to make my Granny’s Quick Lemon Curd recipe as it literally takes just 5 minutes to make. Gloriously zesty and delicious it outranks any lemon curd you can buy in the shops by miles! However if you do use shop bought lemon curd then I would add the zest of a lemon to the batter to give the flavour a boost. 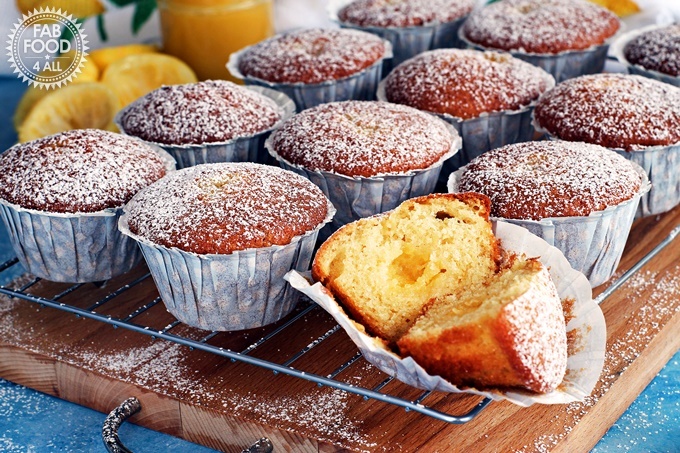 After sharing some snaps on social media these Easy Lemon Curd Muffins caused quite a stir. I’m not surprised, they are fabulously moist, tangy and delicious! I shared them around my whole family and everyone raved about them. Daughter was a bit annoyed to see some going out the door but I explained there are only so many muffins you can eat! 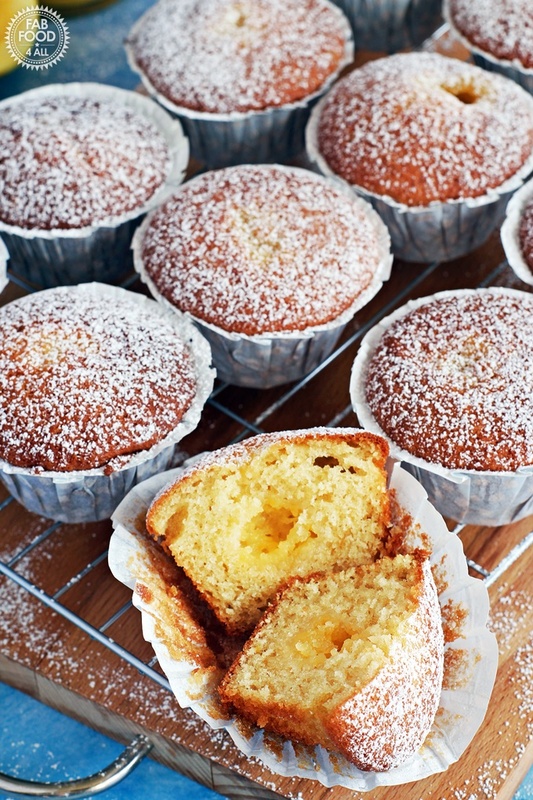 Could I use another fruit curd to make these Easy Lemon Curd Muffins? 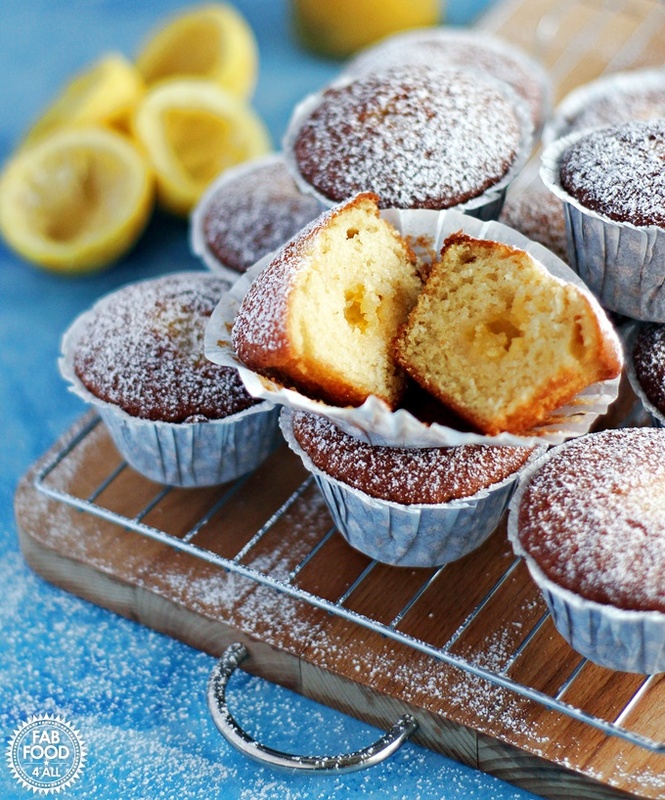 What other recipes can I make with the leftover lemon curd from these Easy Lemon Curd Muffins? 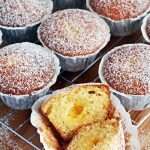 If you make my Easy Lemon Curd Muffins or any other recipe then do share by tagging me @FabFood4All via Instagram or Twitter, I’d love to see your creations! Finally I’d just like to thank you for supporting Fab Food 4 All whether this is your first visit or you are a regular as Fab Food 4 All turns 7 tomorrow (20 March 2019). I feel so blessed to have found the job I was destined to do (all be it a bit late in life)! I have bought myself a new professional camera to celebrate and look forward to pushing myself further on the photography front. Who knows I might even read the manual for this one! 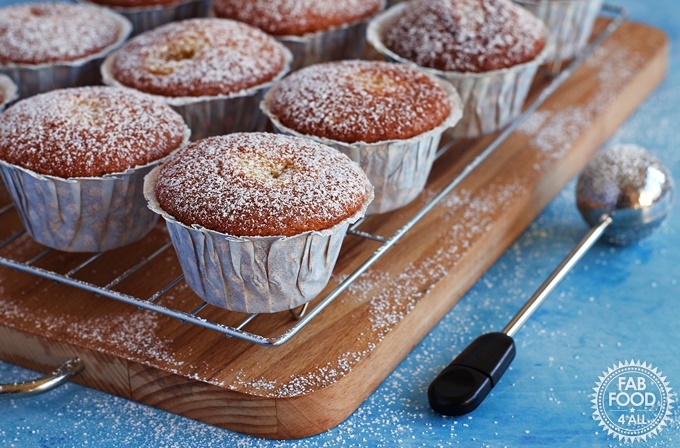 These delicious Easy Lemon Curd Muffins are best made with my Granny’s Quick Lemon Curd which sinks to the middle during baking leaving a delicious sticky puddle on top. 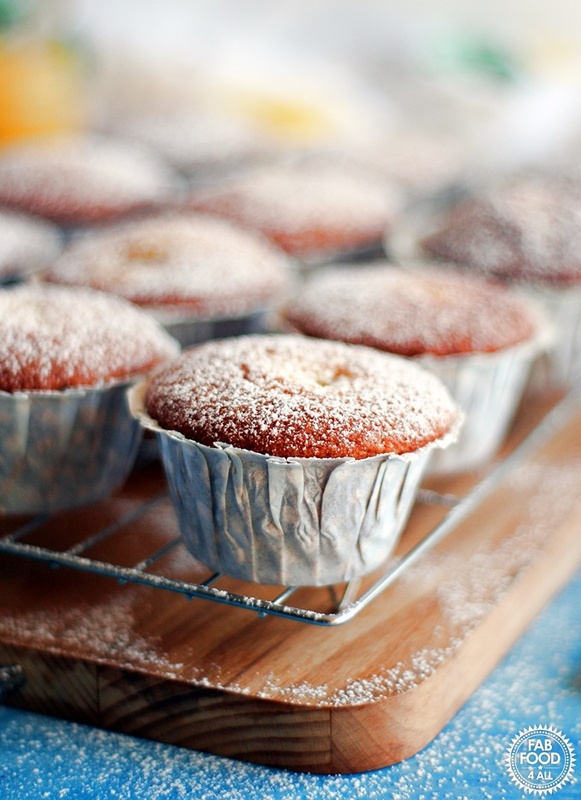 Finished with a dusting of icing sugar these muffins won’t hang around for long! 6 tbs Granny’s Quick Lemon Curd or shop bought if you have to!! Line a muffin tin with 12 paper muffin cases. In a large bowl add the flour, sugar, baking powder, bicarbonate of soda and salt. Then mix together well with a whisk. In a jug measure out the oil, yogurt and then add the eggs. Stir the wet ingredients into the dry ingredients until just combined (don’t over mix). Then fold in the 6 tbsp or lemon curd until just mixed (again don’t over mix). Spoon the batter equally into the 12 muffin cases. Top each with a generous ½ tsp of lemon curd. Bake for 20 minutes on middle shelf of oven (or until muffins are golden brown and spring back to the touch). Cool on a wire rack and dust with icing sugar. Best eaten on first day but will keep for 2 - 3 days in an airtight container. If using shop bought curd add the zest of a lemon to the batter to give a zesty flavour! Previous Post: « Simple Cherry Chocolate Cake with fresh cherries! 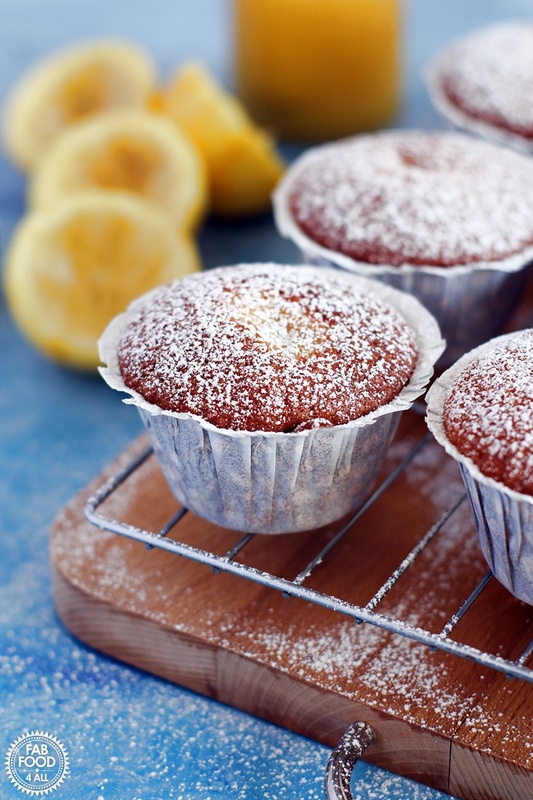 Your description of these delicious muffins has me drooling – they look amazing Camilla! I can’t wait to try them! What a brilliant way to use lemon curd. Your muffins look totally delicious. I love all things lemon, especially lemon curd. These look heavenly! Thanks for adding one of my curd recipe. Thank you Jacqueline, they were fabulous, will be making these again soon! These muffins sound wonderful. I am a lemon curd lover. 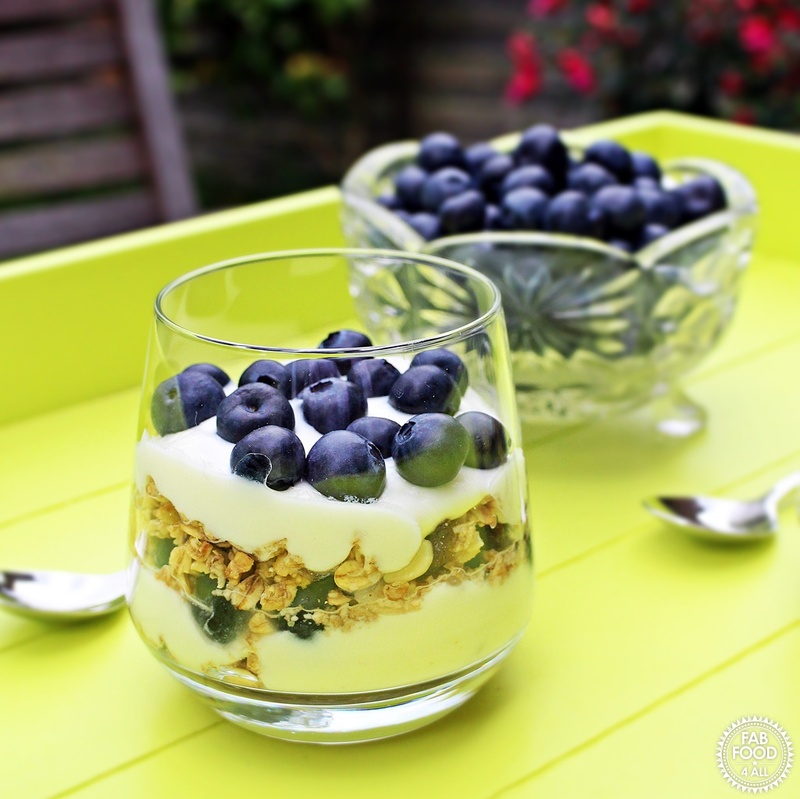 Thanks so much for linking to my Lemon Curd Parfait recipe. I need to give these muffins a try.